Psychologist Gordon Neufeld states there is a difference between a hardened heart, which does not feel vulnerable emotion, and one that is hardy and feels a lot. (1) Those with hardened hearts seem impervious to pain and suffering, withstand emotional wounding, exhibit invulnerability, and are short on empathy or caring for others. People with hardy hearts feel and express their vulnerable emotions such as sadness, caring, fear, shame, disappointment, or dependence, and continue to thrive despite facing adversity. The absence of vulnerable emotion is not a sign of health but one of human stuckness. The human being is built to care deeply and an absence of caring is indicative of an emotional problem. Research on empathy in youth by Sara Konrath found a 48% decline today in comparison to 30 years ago, as well as a 30% decline in their capacity to consider other people’s perspectives. (2) There are increasing signs our childrens caring and empathy is going missing, along with their tears. Statements such as – “I don’t care,” or “It doesn’t matter,” or “whatever” pervade youth culture and have become too common. As guardians of our children’s hearts we need to take a step back and ask why? Where are their vulnerable feelings going and how can we keep their hearts soft? Neuroscience is now paving the way to support what Freud once postulated – the emotional system is capable of defending the human heart from too much distress (3). When the emotional system is overloaded it will spontaneously evoke defenses to numb out, tune out and detach from the things that evoke vulnerable feelings. In other words, whatever we don’t see or feel can’t hurt us. This is not a sign of a brain performing poorly but a strategic move that allows someone to function and survive wounding environments. The problem is it takes all emotional expression with it – including love. The capacity to feel is what fuels growth and makes us fully human and humane. The problem is that when vulnerable feelings go missing, the resulting behaviour will often lack caring and consideration. A child may seem to lack fear or isn’t moved to caution when they should be. They seem less conscientious, more easily frustrated, distracted and restless. There is usually an absence of tears indicating sadness and a lack of remorse or shame. When the human heart is defended against feelings, we often miss what has gone missing and become preoccupied with uncaring behaviour. The clearest sign our children are under emotional distress is when their vulnerable feelings are no longer palpable. It means their brain is equipping them to deal with a world that is too wounding or too much for their heart to bear. A child who cries and tells you they are sad, afraid or even worried isn’t in trouble emotionally despite the troubles they face. Their upset is a sign their emotional system is working hard to find an answer to the distress they are under. It was never our job as parents to calm kids down but to restore emotional balance and to transform their feelings when needed. The kids who lack upset, who appear to be the most ‘calm’ or quiet may actually be the ones who are the most defended against their vulnerable emotions. I don’t long for calm in my children but the emotional storms that are part of life so that I can help their heart understand it can survive distress. Our children will face adversity – they just weren’t meant to face it alone and if there were one secret to keeping their hearts soft it would be this. 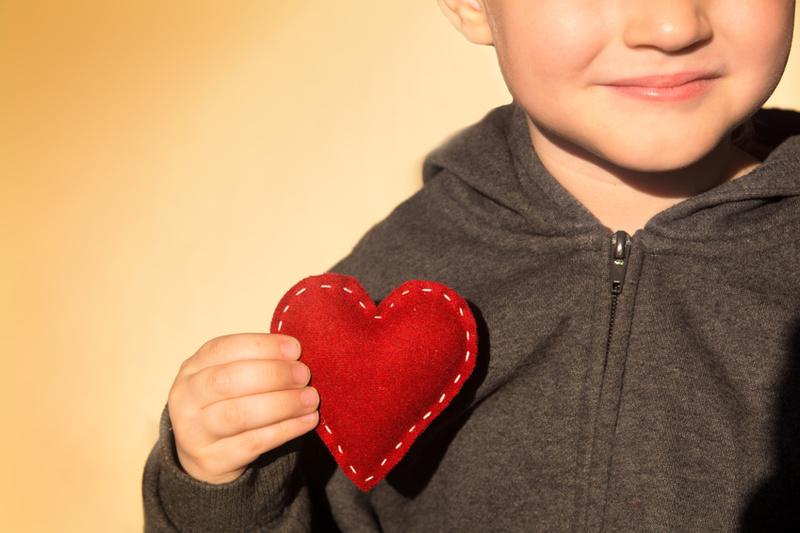 How Can We Keep our Children’s Hearts Soft? While the brain is able to erect emotional defences to preserve the heart, there is a stronger force that can keep it safe. The answer lies in human attachment. It is human relationships that have the power to heal and preserve the heart. 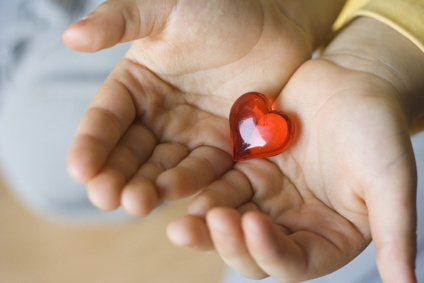 The challenge is we cannot take care of a child’s heart if they have not given it to us. The path to a child’s heart is through extending an invitation for connection that is generous, warm, and unwavering despite conduct and performance. While we may need to be firm on a child’s behaviour, we are soft on the relationship and seek to preserve this most of all. There are many ways to preserve our children’s soft heart but the following five are some of the most effective ways of doing so. The world is a wounding place – our children will face rejection, taunting, separation, shame, failure, and places where they are not invited. What they cannot endure is facing these things on their own. Their hearts are too vulnerable when left unattended. Whoever a child gives their heart too has the power to protect them with their own – it is a brilliant design. What matters most is who a child tells their secrets too, who they trust to lead them, and who they seek comfort from. We need to cultivate deep relationships with our children. We need to hold onto our kids all the way into adolescence so their hearts seek home when they are most lost. We will lead our children to their emotions when we convey there is value in being vulnerable and reflecting openness to hearing their feelings. If children are mocked or their feelings discounted, it will do little to suggest there is safety for their heart contents. When we reflect on a child’s experiences, we are inviting them to share what weighs them down. For example, when my children talk about kids who are struggling with behaviour I often ask them what they think is going on for that child? They are often astute in saying a child needs attention, is struggling to fit in, or that their parent pressures them to succeed in school. By asking our children to pause and reflect on how emotions and feelings impact behaviour, we convey that there is more than just what meets the eye. We cue them to consider the source of emotional distress and to give words to the vulnerability inherent in being fully human. Part of preserving emotional well-being is knowing when to protect a child from experiences that are too wounding. This does not mean we shield them from facing upset but recognize that some wounds are too big and are best avoided. In other words, if a child requires emotional defences to live in their world and there is a clear absence of feelings – then we may need to change their world in order to restore emotional functioning. For example, if a child is attached to friends who are routinely wounding we will need to thwart contact, build strong adult relationships for the child, and court healthier peer relationships. We may try and move the child into hierarchical peer relationships where they are cared for by older kids and become a caretaker figure to younger ones. When their world is too wounding, adults cannot stand idly by but must take an active role in shielding a child’s heart. When our children have to face things that are adverse such as taking a test they are afraid of, getting a needle, or having to separate to go to another parent’s house, we need to prepare their heart for what will come. In the days ahead of the event we can mention that something will come to pass and as they seem upset we can help draw out their vulnerable feelings. As they face their distress in small bite sized pieces, they will be better able to face the event when it happens. The separation to another’s parent’s house is tempered with tears of upset that have already been shed and acknowledged. Small doses of upset better immunize a child against the big upsets that are ahead. When our children are up against the things that cannot change and cause distress – a friend that is uncaring, a pet that has died, a bad mark, and a parent that travels or lives in another house – we need to help them find their tears. Feelings of upset or alarm need to be transformed rather than calmed down. Frustration and alarm need to melt into tears of sadness where there is release and rest. Resilience is cultivated when our children are led to their tears and realize they can survive things not going their way or that hurt them. When we are able to cry with someone and they bear witness to our feelings, there is often healing. This is why we need to lead our children to their tears and not be afraid of the upset that will ensue. Why are some children far less wounded and hurt than others? Because they have human shields that are cultivated and strengthened by love. When adults become guardians of a child’s heart, the need for emotional defenses is lessened. This is why children need strong caring relationships to tether themselves too as this preserves and protects their soft hearts. While caring deeply about others sets us up to get hurt, it also has the power to save us. Michael Resnick, Marjorie Ireland, and Iris Borowsky, “Youth violence perpetration: What protects? What predicts? Findings from the National Longitudinal Study of Adolescent Health,” Journal of Adolescent Health: Official Publication of the Society for Adolescent Medicine 35 (2004): 424. Mark Solms and Oliver Turnbull, The Brain and the Inner World: An Introduction to the Neuroscience of Subjective Experience, New York: Other Press, 2002, p. 104. Deborah MacNamara is a clinical counsellor and educator, on faculty at the Neufeld Institute and author of Rest, Play, Grow – Making Sense of Preschoolers (or anyone who acts like one). She has more than 25 years experience working with children, youth, and adults and speaks regularly about child and adolescent development to parents, childcare providers, educators, and mental health professionals. Please see www.macnamara.ca for more information or the Neufeld Institute – www.neufeldinstitute.org.